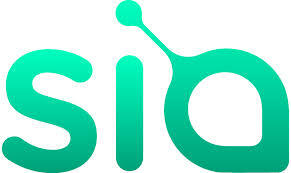 Our first alternative cryptocurrency coin to be profiled is called Sia. Sia is a company that bills itself as offering “cloud storage on the blockchain.” They split and encrypt a users data across cloud servers. As such they claim to be able to reduce costs, charging $2 per month vs $23 per month for similar bandwidth for Amazon web services. Sia is run by a company called Nebulous out of Boston MA and their website is here. The company launched their cryptocoin in August 2015 for a price at the time of $.000041. It stayed around that price since Feb 2016. As of the time of this writing the coin is trading for .030169, almost a 1000 fold rise in value. This gives the coin a market cap of $947 million, up from a launch value less than one million. If we look at the company’s actual fund raising ability, they have collected a mere $750,000 from investors, and revenues are citied in the thousands of dollars. Nebukuous only owsn 1% iof ht coins and notes theese conis were issued as a way opf paying for trasnactions, not for specualtion. How doe Nebulous CEO David Vorrik think the end result of rampan specualtion of Sia coins will be heading?